Summer is upon us and like everyone else, I need a lighter offering to sip on while sitting on a proverbial porch or lawn chair. Feeling like every US craft brewery and their mother are now making a saison (yes, saisons are the new IPAs), I was compelled to use the farmhouse ale as my base. My wife, the Denver Beer Gal if you will, has been on me to use lavender in a recipe for a little while now so it made perfect sense to give this summery saison a flowery kick. This was also my first crack at an all-grain recipe, which led to some fun and exciting shenanigans when we figured out that we would need to mash in 3 separate vessels. Despite the makeshift brewing process, I really think this saison will turn out splendidly. We added an ounce of some really fragrant culinary lavender after the boil while the wort was cooling (also got a chance to use my new wort chiller for the first time! Works like a charm. 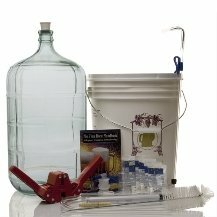 ), and then recently added another ounce of lavender to the secondary fermentation carboy. It was hard to really judge just how much lavender to use, but an ounce of lavender is WAY more than I thought it would end up being, because it weighs almost nothing. So it smells amazing, we’ll have to wait and see what happens with this one. I’ll update the progress as a bottle/keg/drink this summer saison. Mash in at 120 °F (49 °C) (1.2 qt./lb strike water) for a 20 minute protein rest. Raise to 150 °F (66 °C) and hold for 60 minutes before mashing out. Boil for 60 minutes adding hops and spices as indicated. Add candi sugar with 5 minutes remaining in the boil. How did the beer turn out? I am thinking about brewing a very similar beer! It turned out great! A little heavy on the nose because we put in a ton of lavender, but you can go light at first and see if you want to add more to the secondary later on. Did you out the lavender in a muslin bag or let it float? Would you use more or less next time. Also were the hops too powerful for the lavender? Would youuse less or more next time? Hey Ben! I didn’t use a muslin bag but probably should’ve… I probably would use a little less lavender next time but my wife wanted to make sure it had a ton of lavender flavor. 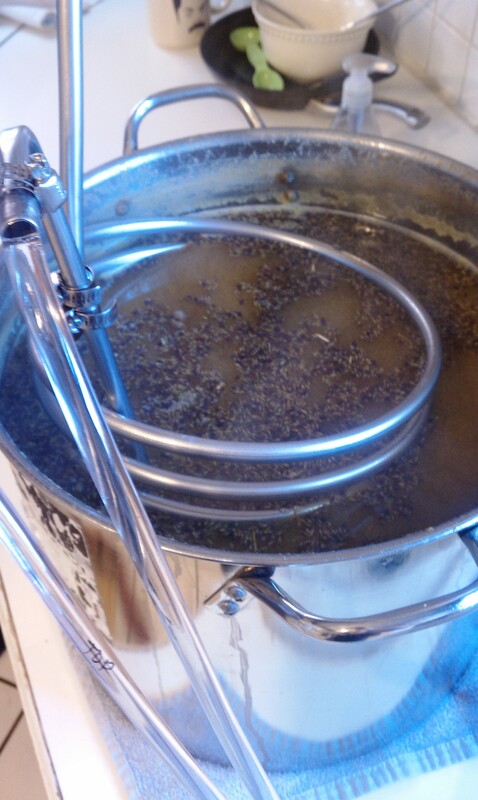 The hops did not overpower the lavender at all, I might even use more hops next time.